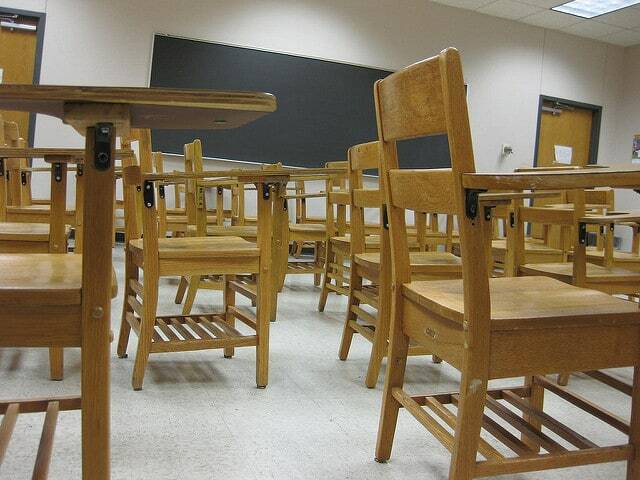 INDIANAPOLIS (AP) — Some teachers say Indiana legislators are only paying lip service to improving school funding in the new state budget. New Albany middle school teacher Amellia Dusch says the funding proposal will still leave Indiana behind other states. Public school advocates argue the proposed increases don’t keep up with inflation despite Republican Gov. Eric Holcomb and GOP legislative leaders touting the importance of addressing Indiana’s lagging teacher salaries. When teacher’s union member Amellia Dusch and he fellow travelers can show improvement in the education of our kids then maybe, just maybe citizens will approve of more funding. Right now we here in American spend more per student than any other country on the planet. Show us the improvements and we might show you some more money. The state legislature is offering you more of a raise in funding than I got in my Social Security check raise!! My local school board is conducting a funding referendum that will raise property taxes over 300% for the next 8 years. They are pulling a fast one on tax payers because it is a city election. The ELkhart School Corporation has both city and country resident taxcpayers. How many county residents that fund the Elkhart schools will realize they are having their pockets picked with out being properly informed?? ?